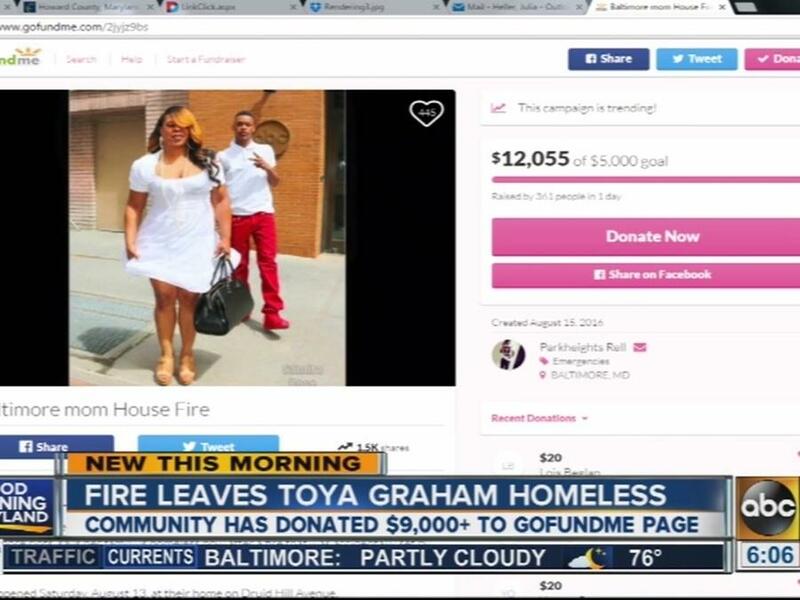 Toya Graham became famous after a viral image of her smacking her son for rioting and throwing rocks at police in Baltimore captured national attention, but now, she is homeless after her son accidentally burned their house down. Graham's 17-year-old son, Michael, said he was frying chicken tenders and stepped away for just a moment to use the bathroom. "When I got back, there was smoke and fire coming from the pan," he told WBFF. Michael tried to toss water on the fire to put it out, but that only made the blaze worse. He called 911 and firefighters were able to put out the flames, but their home was destroyed. "I should have been more careful when I was cooking," the teen said. "Now, it's like, what we're going to do now? As for Graham, she said that she did not blame Michael for the loss of her home, but she is still angry and hurt. "I'm tired of the struggle, I feel broken," she said. "You try to hold on because you try to do everything, you try to be strong for your children. You try, but this is a lot." Graham does not have renter's insurance and has set up a GoFundMe page to ask for $5,000 to get them back on their feet. It has already surpassed its goal.